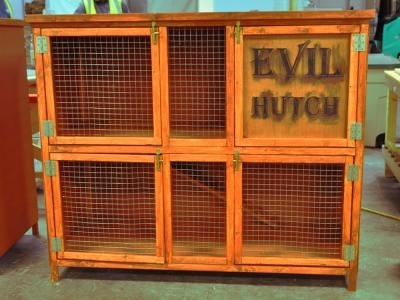 This Hellhole Evil Hutch is 83% of the MINIMUM size a hutch should be! Long term confinement to this cruelly small space may lead to skeletal, muscular and mental problems in your rabbits. It is made of low grade materials, requires treating regularly and isn't safe from foxes who can bite through the mesh or separate it from its staples. When they want to retreat, the sleeping area offers them cold, damp and lots of light. 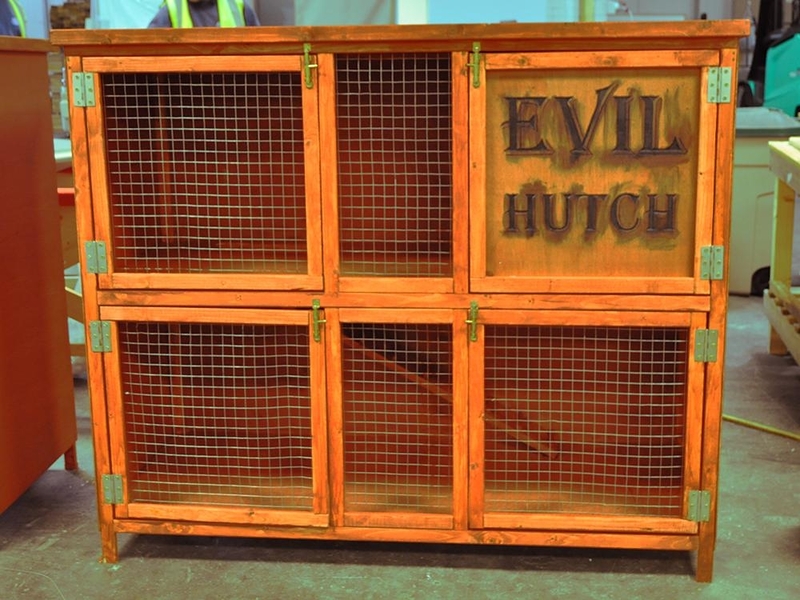 Please don't buy into Evil, buy a BunnyBunker instead!